Agritex Energy S.A. is licensed as independent electric power producer by the Greek authorities following the deregulation of electric energy supply in Greece. Electric energy is generated by 3 internal combustion engines of Caterpillar type using natural gas as fuel. Each engine has a power output of 1.6MWe, providing a total energy power of 4.8MWe. 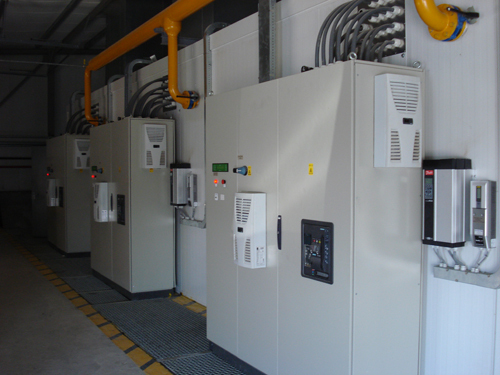 The annual energy capacity of the facility is 32.000 MWh, supplying the National energy administrator DESMIE who is providing energy to the national electricity network. As far, the exhaust wastes of the engines are processed and used into the greenhouse, the company activities are not polluting the environment, participating the environmental friendly legislation.